OVER 50 WON THE CHALLENGE! Stop by today so you can win this month. I GUARANTEE TO SAVE YOU MONEY ON YOUR INSURANCE! YOUR CONFIDENCE AND REFERRALS ARE MAKING US #1! Why we are the Fastest Growing Agency in Southwest in Oklahoma? We are local and have the unique ability to respond to your every insurance need. Myself or my team members are always available to provide assistance. We are a multi-line agency. We can tailor a complete and comprehensive insurance package to fit your needs; now and into the future. We will provide you with a detailed annual review of your insurance package to make sure you are always properly protected. You can always reach Farmers 24/7 online, Smartphone App, or via our call center 1-800-FARMERS. We have a Nationwide A+ rating from the Better Business Bureau (BBB). During a catastrophe, Farmers deploys our Mobile Response Vehicle to make sure you and your family’s immediate needs are taking care of you and your claim is processed quickly. It’s all for you and your family. Will the monthly bills still get paid? 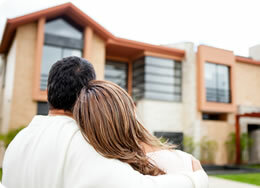 Can your family afford to stay in the current home? Will you leave a family legacy or a family in debt? Rates starting at $13.85/females. $17.73 males. Must qualify. Instant issue assumes you are in generally good health with no major medical problems. Other policies and amounts available. Farmers 10yr Simple Term. "Taking the Robert Brown Challenge saved us $944 /year. Thanks Robert! 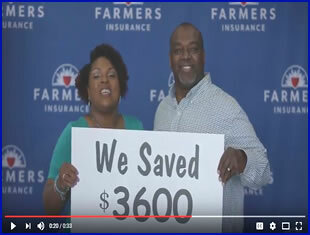 "- Charles & Kirstie S.
“Robert saved us $685 /year taking the Robert Brown Challenge.”- Derek & Jesi L.
“Robert saved me over $900 year on my homeowner’s insurance!”- Larry P.
Stop by our office and I will save you money too! We can create a complete Family Protection Policy. Must meet minimum criteria. No cash in lieu. Stop by office for complete details. Life insurance issued by Farmers New World Life Insurance Company, 3003 77th Ave SE, Mercer Island, WA 98040. Products & features may not be available in all states & may vary by state. Securities offered through Farmers Financial Solutions, LLC, (In NY: Farmers Financial Solutions and Insurance Agency), 30801 Agoura Rd. Bldg. 1 Agoura Hills, CA 91301. Member FINRA & SIPC. Copyright © 2017. ROBERT BROWN AGENCY. All Rights Reserved.